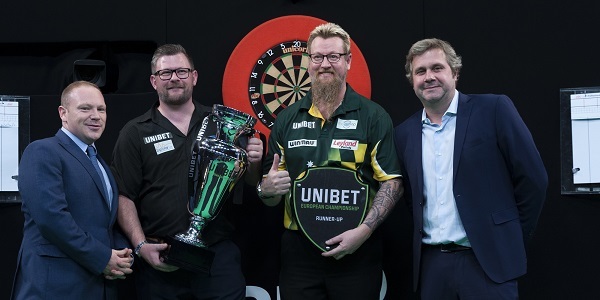 The left-hander then ended Whitlock’s bid to win a second European Championship title as he scooped the £100,000 top prize – just 13 days after becoming a father for the first time to son Arthur. “That was for my son, Arthur,” said Wade. “I’m actually emotional about this – it’s an amazing feeling and I’m going to enjoy this win. I’ve gone through some tough times but this is for Arthur. I’ve won TV titles before and never made the most of it, but I’m buzzing. 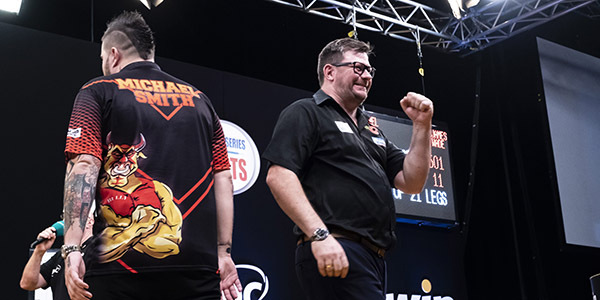 Whitlock also battled his way to the final in dramatic fashion, taking out 110 in the deciding leg of his last four clash with Joe Cullen after coming back from 10-7 down. 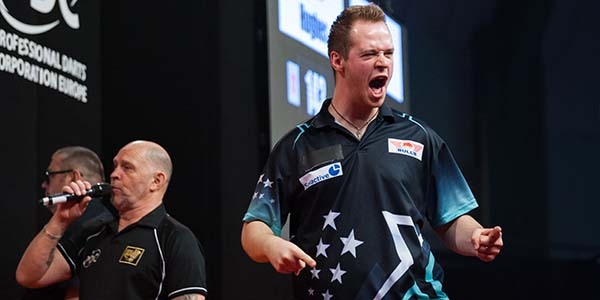 The Australian, who began the final day of action at the Westfalenhalle with a 10-7 quarter-final defeat of Steve West, opened the final strongly with six perfect darts and led 3-1 early on. 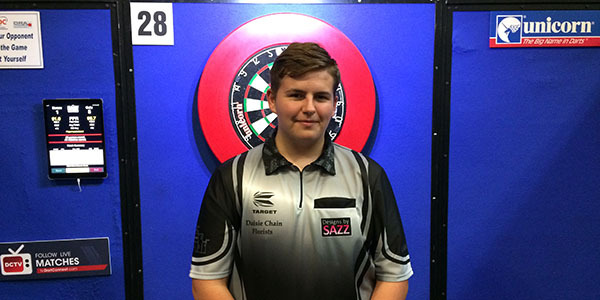 Wade hit back to lead 5-4, but there was little to separate the pair as they remained locked following 16 legs. 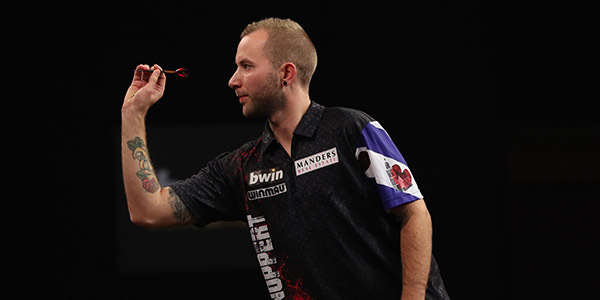 Wade, though, landed back-to-back 13-dart finishes to pull away to 10-8 before pinning double ten to seal glory. 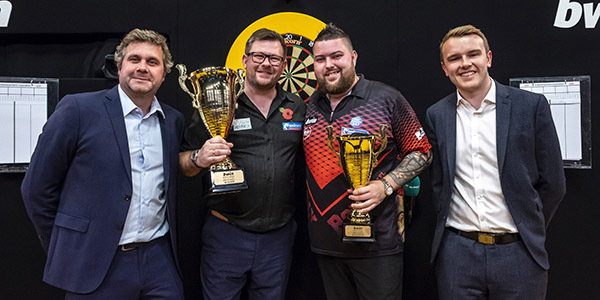 KRZYSZTOF RATAJSKI made it back-to-back PDC titles with a 6-4 win over Adrian Lewis in the final of Players Championship 22 in Barnsley on Sunday. Over the next 11 days PDPA Secretary; Zoe Banks and Brenda Warriner-Little will take on the challenge of trekking to the summit of Mount Kilimanjaro. Both charities are at the forefront of their sector; aiming to reduce diagnosis times, improve the treatment options available to patients and ultimately research and find the causes so that cures can be found. Is the leading charity in the battle against these and other forms of Inflammatory Bowel Disease (IBD). We work to educate and research about the causes and treatments for Crohn’s and Colitis to improve diagnosis and the treatment of IBD. Is at the forefront of the fight to defeat brain tumours, with pioneering research to find new treatments, improve understanding and diagnosis, increase survival rates and bring us closer to a cure. Zoe lost her Mum ‘Lynn’ to a brain tumour in 1998 and saw first-hand the pain and suffering her Mum lived with during the six years of her illness, including the chemo and radiotherapy and all the symptoms she suffered with before she was eventually given her diagnosis. Former PDPA Director David Pomfret also succumbed to a brain tumour in 2017 so was also in our thoughts as we selected our nominated charities for 2018. Brenda and Zoe’s Kilimanjaro Challenge is to summit Mount Kilimanjaro in Tanzania; the highest free-standing mountain in the world at 5,895m or 19,341ft. Over 8 consecutive days they will trek for approximately 6 to 8 per day in varying climates and terrains. Their summit day will begin at midnight and will be approximately 10 to 12 hours of trekking and they will camp on the mountain each night in temperatures reaching as low as -15 degrees. As they reach the higher levels of Kilimanjaro, they will have to deal with the effects of altitude which include nausea or vomiting, shortness of breath, headaches, feeling faint, rapid pulse, insomnia, or worse – acute mountain sickness or altitude sickness is the most common reason that trekkers fail to summit. If they are deemed too ill to continue they will be taken down the mountain and their challenge will be over. They have set up separate JustGiving pages for each charity (as per JustGiving rules) but are completely committed to doing the climb as a team, for both charities equally, and so would appreciate that donations are pledged to both pages.